I really like to write. I always have. My best friend is an aspiring author and is incredibly talented at weaving together stories of people in faraway places, first loves and secret powers, but that's (obviously) not my style of writing. I like writing about ordinary things and about the humor I find in the everyday. 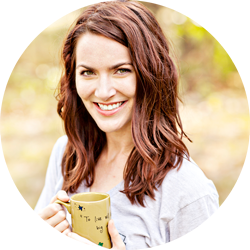 I am so thankful for this blog for letting me do that. I am honestly not really that into fashion (shocker) but I do like clothes in general, so being able to combine that with writing makes me really happy. I also like chambray shirts. If you don't own one, you are missing out. If you are pregnant and don't own a maternity version, you are REALLY missing out. 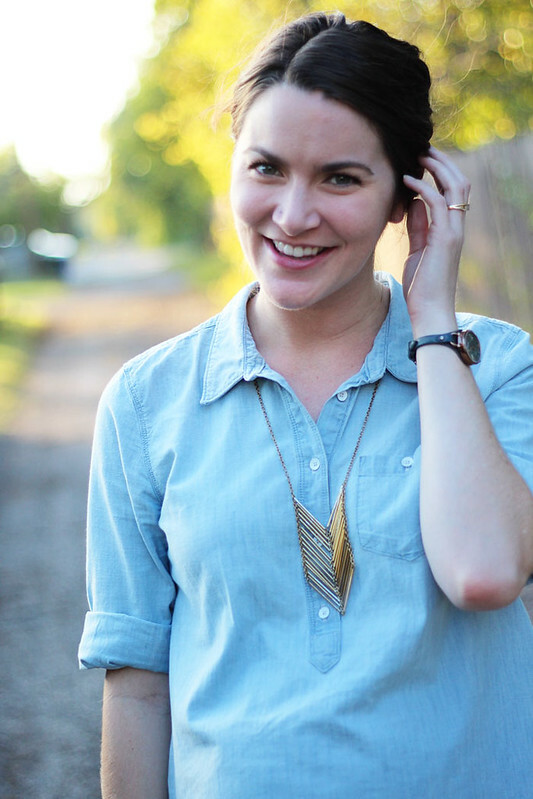 I agree, chambray shirts are a must have! I really like the henley style of yours and that necklace is super cute! 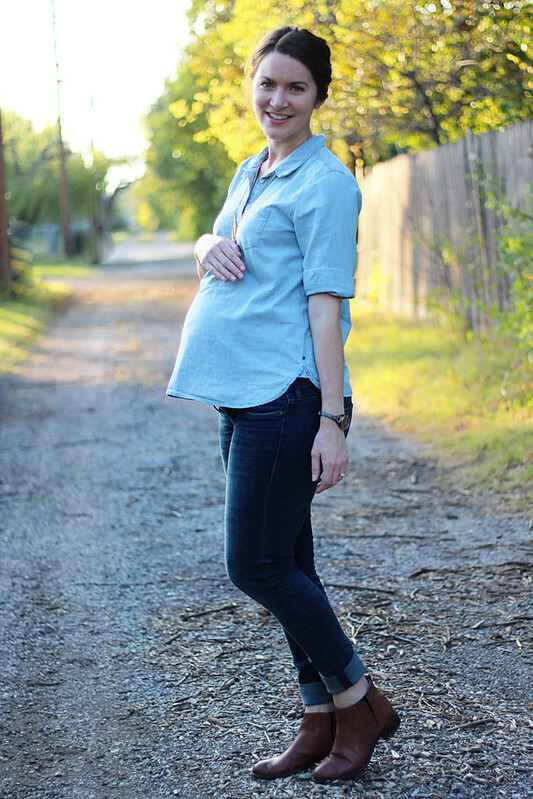 I just ordered a plaid maternity popover. I've realllly trying not to buy more clothes this pregnancy, but it's so dang hard! I have a more loose one that I might try to just make work for a while. lets do the denim on denim dance! love it girl ! 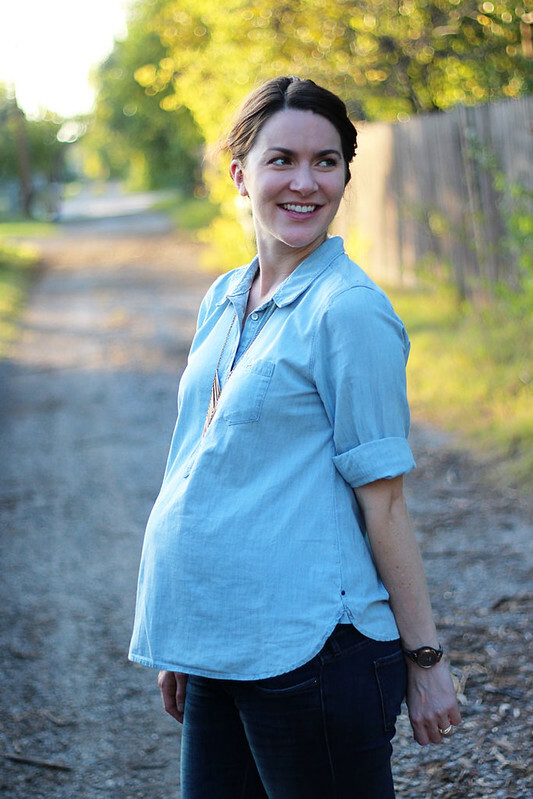 Super cute-love the different washes of chambray you are sporting :) It really is the most versatile fabric!! Goodness, girl, you look so cute! I'm jealous of all you long torso-ed girls! aw man I just can't get behind the chambray anymore. i love them on other people and i tried to make it work on me but it just never felt right, and i want to feel comfortable, you know? i'm not into fashion that much but i do like cute clothes and i want to look good, which does not always go very well with 'fashion'. anywhoozites. your friend sounds like i want to read her book. Living for nine (technically ten) months without a chambray would not be my idea of closet happiness. That necklace is amazing! I like writing the same way you do! :) Also, I don't own a chambray shirt, but this one looks so great on you! And I love your necklace! I'm not much of a writer, but I love reading! I wish I had the talent to spin stories like some people! 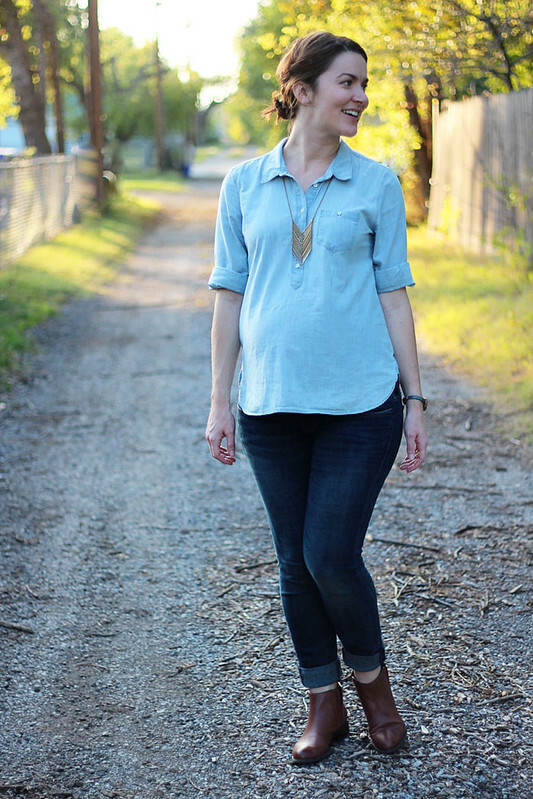 I DON'T have a maternity chambray shirt. Ahhhhh!!!! But this is seriously one of my favorite outfits....denim with denim. You look fantastic! 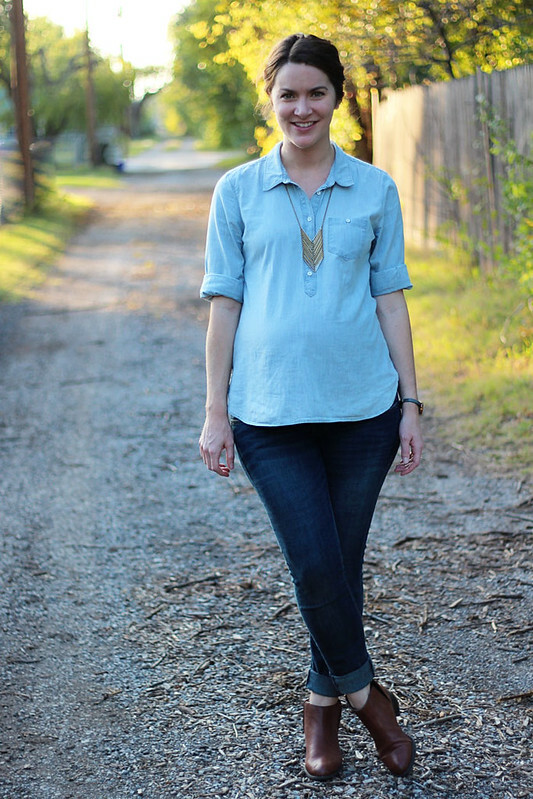 I totally agree that a chambray shirt is such a staple item. I don't know what I did before I got one. Denim on denim is always a great look! You look radiant! I have one too many chambray/denim shirts. You look so pretty! Love that necklace!